The keynote on the second day of the annual Adobe Max Conference is always about inspiring creativity and motivating attendees to find and explore their true passions. 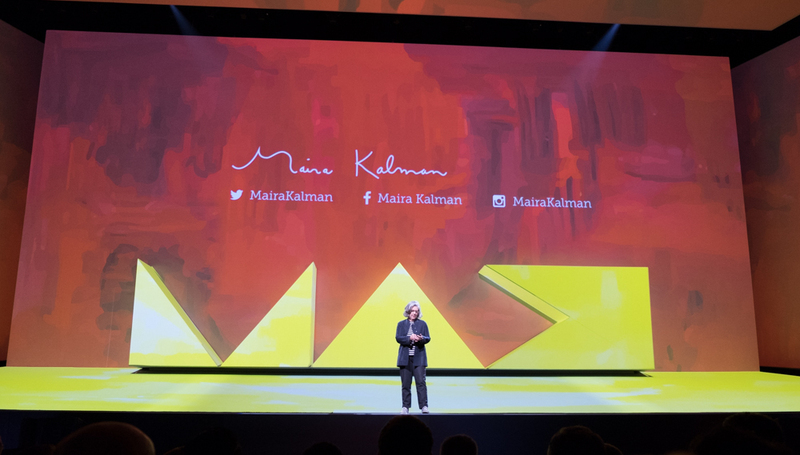 This year’s day 2 keynote delivered on those messages with four special guests: Maira Kalman, Brandon Stanton, Elle Luna, and Baz Luhrmann. 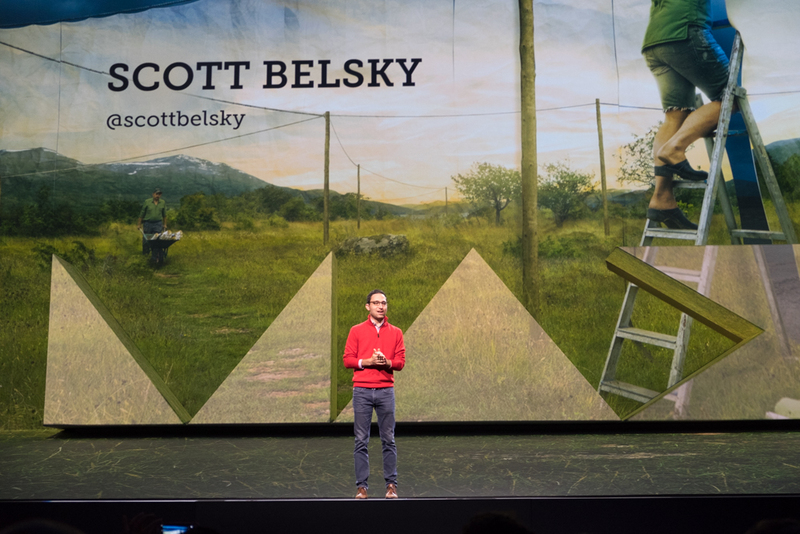 The host of the day 2 keynote was Scott Belsky, co-founder/head of Behance and VP products, mobile and community at Adobe. Scott first introduced Maira Kalman, an American illustrator, writer, and artist who has written and illustrated 18 children’s books and is a frequent contributor to The New Yorker Magazine. 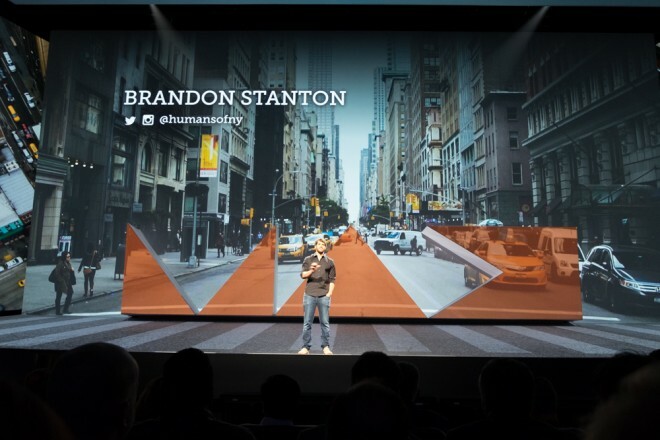 Belsky next introduced Brandon Stanton. 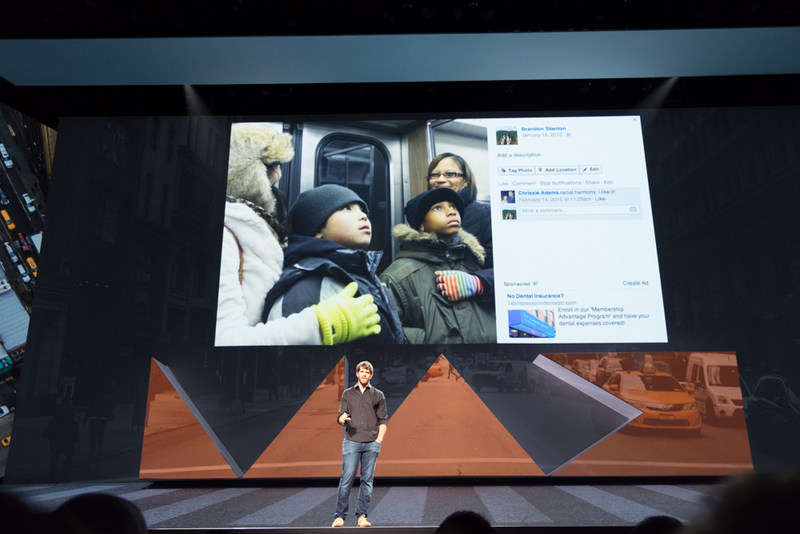 Stanton is a photographer and blogger that started the Humans of New York project back in 2010. He walks around New York all day taking pictures of people and spending about 30 minutes interviewing them. He then posts three to four of these stories every day that are read by about 15,000,000 followers. Before Stanton started that project, he worked as a bonds trader in Chicago. He knew that things were going poorly in his job and he spent all of his time, effort, and mental energy trying to keep that job. When the day finally came that he lost his job, he said that it was an unexpectedly good day. He realized that all that energy and mental effort that he had spent trying to keep his job could now be directed into whatever he wanted, which turned out to be photography. His goal was to earn just enough money to where he was control of his own time. Stanton said the photo in the image below was a pivotal shot in his career. It was the first photo he took of total strangers. That was the day he was able to overcome his fear and break through the barrier between his camera and the people he wanted to photograph. Since then he has photographed and interviewed thousands of people around the world and that fear no longer exists. His project has also raised more then $5,000,000 for charity. Ella Luna paints, designs, and writes in her studio in San Francisco. Her journey began with a reoccurring dream of a white room with a concrete floor. In her dream she would enter the room, sit in the middle of the floor, and feel a sense of peace. A friend encouraged her to chase that dream in real life to try to find its meaning, so Luna ended up buying an apartment that had a white room with a concrete floor. She entered the room and sat on the concrete floor but the peace didn’t come. She asked the room why she was there and it told her it was time to paint. She had been an artist through high school and college but at some point she had become busy and forgotten about that passion. The next day she was at the art supply store and that white room became her studio. 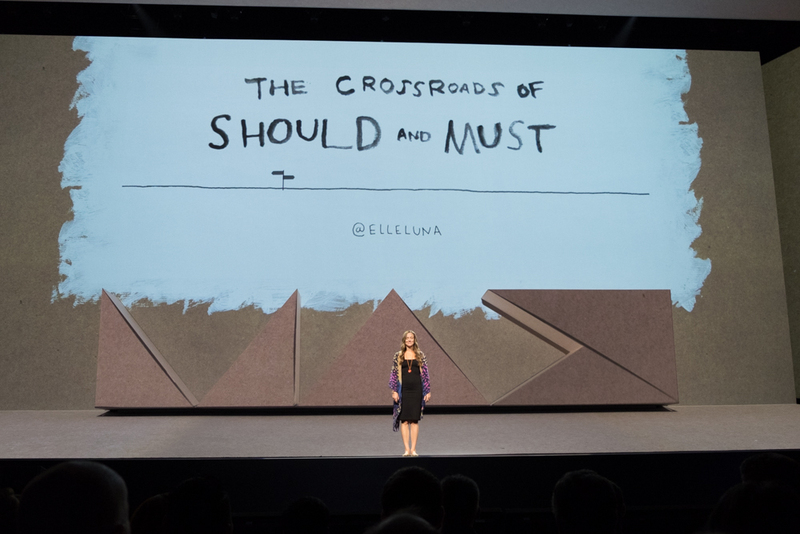 Luna’s main message was “should” versus “must.” We all too often get caught up in all the things that we “should” do, which are the demands that society puts on us, instead of what we “must” do, which is following our passion and exploring who we really are. She has written a book called The Crossroads of Should and Must: Find and Follow Your Passion. 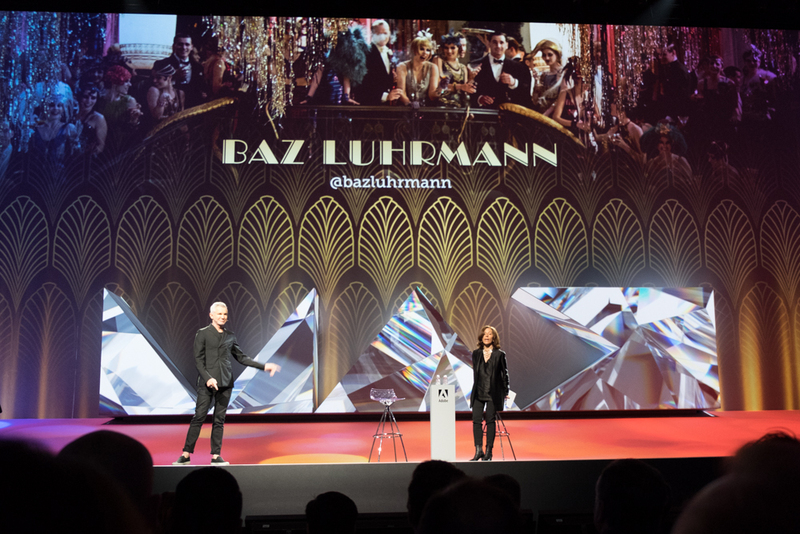 Finally, Baz Luhrmann took the stage. Luhrmann has directed memorable films such as Moulin Rouge, Romeo + Juliet, Strictly Ballroom, and the Great Gatsby. 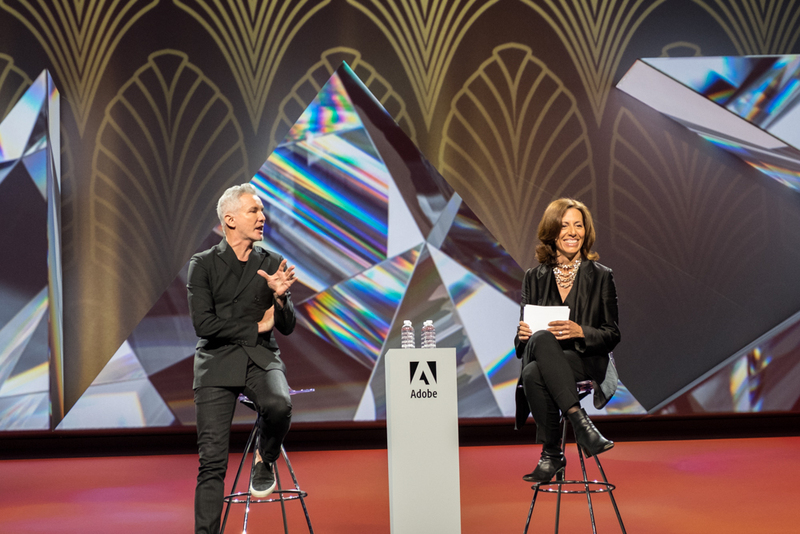 Ann Lewnes, senior vice president and chief marketing officer at Adobe, interviewed Luhrmann. He was very animated and Lewnes had a hard time keeping him in his chair. He claimed that he never sits down on the set.